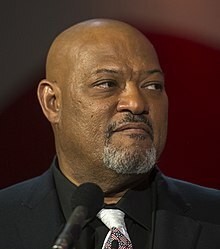 ^ Laurence Fishburne. Encyclopædia Britannica. Encyclopædia Britannica Online. 2008 [2008-04-08]. ^ ‘John Wick 2’ Official Synopsis Revealed; Common Teases ‘Rival’ Role Versus Keanu Reeves’ Character. 2016-04-06 [2016-08-02] （美国英语）.